THE READERS RAG: A CRASH AND ITS AFTERMATH: "INTO THE ABYSS" BY CAROL SHABEN! “Only four men survived the plane crash. The pilot. A politician. A cop—and the criminal he was shackled to.” This is the teaser that pulled me into reading the book “Into the Abyss” by Carol Shaban. Another big attraction was the book cover, a single plane enshrouded with clouds flying over a bunch of spidery tree limbs. 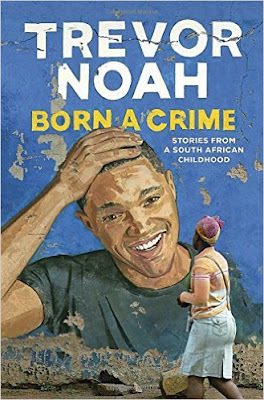 This was a true story, promised the cover, and I was absolutely intrigued to know “What happened?” In reading to find the answers to this question, I was well rewarded by an absorbing, page turning narrative. Essentially, on October 19, 1984, an exhausted and overworked, rookie pilot set off from Edmonton to High Prairie, Alberta in a piper navajo commuter plane under severely compromised conditions. If the pilot had been thinking straight, he probably would have cancelled the flight or insisted upon a co-pilot. The end result is that the plane crashed which led to the death of five of the passengers, one over the course of hours. Among the dead was Grant Notley, the head of the New Democratic Party in Alberta. The remaining passengers were severely injured, but they were able to make it out of the plane and build a fire. This sustained them for the 14 hours it took before search parties rescued them. The irony of this story, and its major point of interest, is that three of the passengers were so severely injured or compromised—Larry Shaben's glasses were broken so he was completely blind—that they had to rely on the integrity and good will of the criminal among them, a 27 year old petty criminal named Paul Archambault. A scrappy street kid, Paul knew what it was like to be homeless in Alberta’s icy winters. Thus, he had the necessary survival skills to keep the survivors safe and he exercised those skills on their behalf. He also worked with the ELT machine on the plane to make sure that it was sending out a distress signal to rescuers. Were it not for his intervention, they all would have died. This book provides excellent detail in regard to the conditions leading up to the crash, the crash itself, and subsequently the aftermath of the crash on the lives of the survivors. One survivor, the mountie Scott Deschamps, had a spiritual vision which impacted him so greatly that he struggled to come to grips with it for years afterwards. I would have liked to hear more about that. I had a personal interest in the story because much of the drama took place in Alberta where I was born. I was really interested to hear about the weather challenged, icy and snow filled environment where I might have grown up had my parents not moved to New Jersey. This book is the story of survival, not only from a plane crash, but also from the lengthy aftermath of that crash. Apparently, the survivors met regularly for reunions and called each other annually on the date of the crash. They needed each others support. Why? From what I gather, in some ways, the crash itself was easy to survive because you are all pumped up on adrenaline and the quick decisions that have to be made. As the author, Carol Shaben, makes clear, the real recovery takes place in the years after the event when the crisis is over, the applause has died down, and cold, hard reality sets in. 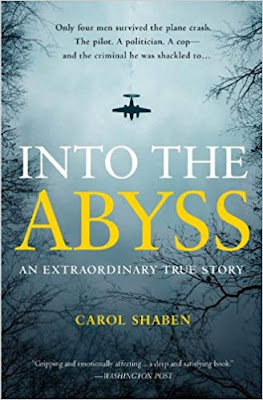 The author of this book, Carol Shaben, is the daughter of one of the survivors of the plane crash, the late Larry Shaben. From Northern Alberta, Mr. Shaben was a highly regarded Arab-Canadian politician in the Alberta government and also the country’s first Muslim cabinet minister. At the time the crash occurred, Ms. Shaben was 22 and working as a journalist in the Middle East. She found out about the crash when she read an article about it in "The Jerusalem Post" a few days afterwards. Carol Shaben worked as an international trade consultant and CBC writer/broadcaster. Ms. Shaben is a graduate of the MFA program in Creative Writing at the University of British Columbia. She has written extensively about the aviation industry in Canada. Further, she has received a gold medal for Investigative Reporting and a Silver Medal for Politics and the Public Interest. In her profile overview, Ms. Shaben makes the following comment, “Having worked as a journalist, I feel that if we pay close attention to the ordinary people and everyday events that intersect our lives, they can teach us all we need to know about creating a better world; one without racism, poverty, violence, oppression or environmental degradation.” In "Abyss" with her exposition of an airline under pressure, a pilot faced with tough, impossible decisions, ordinary people showing extraordinary strength and courage, the tenacity of rescuers and the desperation of friends and relatives, Carol Shaben has truly lived up to this expectation. Ms. Shaben is represented by Jackie Kaiser of Westwood Creative Artists, Canada’s largest , oldest and most respected literary agency. It is located in Toronto and has a staff of eleven agents. Ms. Kaiser originally worked with Penguin Canada for ten years before joining WCA. From what she has posted, she is looking for work that includes “unusual perspectives, exceptional ideas, high concept approaches, and stories we truly need.” She works with literary fiction, non-fiction, as well as children’s book authors and illustrators. Fun fact about her—she grew up in Paramus, NJ, the home of the strip mall. Jackie Kaiser has represented a broad range of authors including Rosemary Sullivan, author of “Stalin’s Daughter”, Don Gillmor, author of several children’s books and the more recent novel “Long Change”, as well as Barbara Gowdy, author of “The White Bone” and “We So Seldom Look on Love”. The books she has represented have frequently won awards such as the Man Booker Prize, the Nobel Prize, and the Scotiabank Giller Prize. In her book, Ms. Shaben does an excellent job recreating the details of the crash and detailing the issues it raised both personally for the individuals involved as well as for the airline industry. It is no surprise then that when she sent her book proposal to Jackie Kaiser, it was accepted promptly, and Random House Canada only took a few hours to make an offer for publication. Shaben's book is called “Into the Abyss”, yet the plane did not fly into an actual abyss. There was no wide space anywhere, no ravine. In reality, the plane flew into the side of a mountain covered densely with trees. The abyss, in this instance, is the abyss of the soul we all face upon an encounter with death. It is the abyss of public opinion, of the judgment meted out to an entire industry, an airline and its owners. There were several hearings and lawsuits in regard to the Canadian airline industry subsequent to this crash. As readers we can interpret the word “abyss” referred to in the title in multiple ways, and that makes it all the more fascinating. This project was clearly one of love for Carol Shaben. It took at least a decade to write and involved countless hours of interviews and sifting through boxes and boxes of documents. There are some great pictures to go along with this book as well as a considerable number of footnotes. The absorbing and fact based narrative which emerges as result of her hard work and dedication is both informative and insightful. I recommend it highly.